The Pride of West Virginia performing at Princeton High School in Princeton, W.Va. 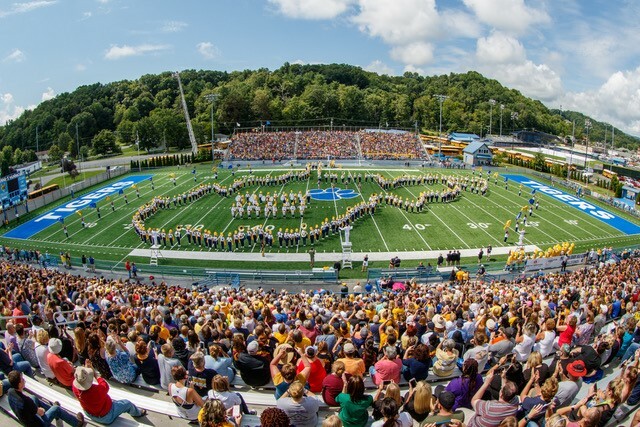 Anyone interested in contributing to the Pride Travel Fund may do so by contacting WVU Foundation, 304.284.4000, or www.PrideTravelFund.com. 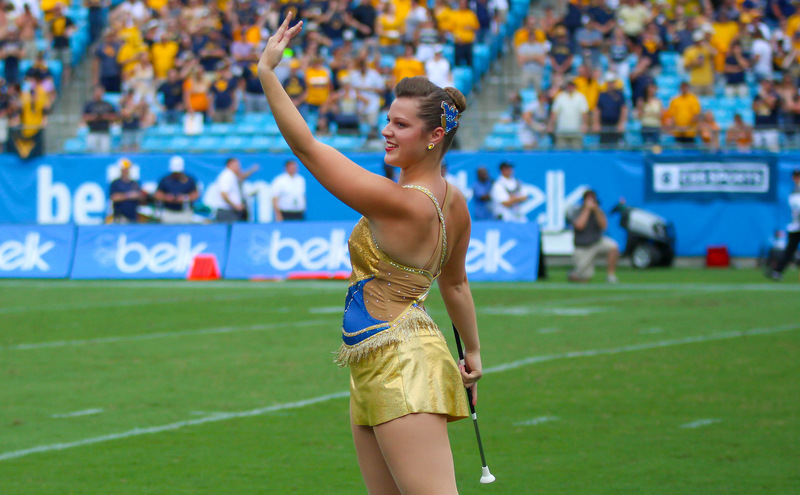 The Pride performing in Princeton, W.Va.
A Pride of West Virginia feature twirler at the Kickoff Classic.